Ask for help - we are itching to assist. We will assist you in obtaining your Schengen Visa. Book your Mediterranean cruise with us & qualify to earn exclusive travel vouchers - simply email cruises@southafrica.to a writeup & photos of your cruise. Breaking news: Book your Venice cruise now; as from 2021 large cruise ships will no longer be allowed to cruise through the Venice lagoon in front of the famous St Mark's Square and stopping at Venice proper, because of damage it causes to the shallow lagoon; instead they will have to go to stop at the faraway industrial port of Marghera. You can choose between cruises departing from Barcelona, Istanbul, Venice, Lisbon and St Tropez to name a few. Check availability by filling in the form below (or email cruises@southafrica.to or phone 021-531-7453). 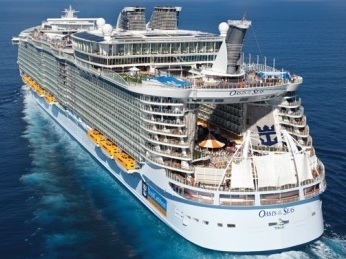 We provide quotes for ALL cruise lines. Experience the beauty of iconic locations by booking a Mediterranean cruise on MSC Cruises, Royal Caribbean, Celebrity Cruises, P&O Cruises	, Norwegian, Cunard Line, Crystal Cruises, Princess Cruises, Holland America, Carnival Cruises, Viking Cruises or Costa luxury cruise liners. If you have special dietary requirements then be sure to check with your travel consultant whether the cruise line provides it. For example, most cruise lines offer vegetarian meals as part of their standard menus, but kosher meals vary by cruise line, with most only offering it if it is ordered at least a few months before the cruise. Cruise on the Viking Star from Barcelona to Rome (8 days), or the other way round from Rome to Barcelona (8 days). There's a 15 day cruise from Barcelona to Toulon, Monte-Carlo, Corsica, Tuscany, Naples, Siciliy, Sardinia, Tunis, Palma de Mallorca, Vallencia & back to Barcelona. Please note pricing on cruises is dynamic and is changing daily. Please contact us for the most current price. There are no specials underway at the moment. 2013-04-13 Cruise only : MSC Musica from the 3rd October to the 10th October 2014, from Marseille to Genoa, Civitavecchia, Palermo, La Goulette, Palma de Mallorca, Valencia and back to Marseille. From R8261*pps. 2013-10-02 Fly/Stay/Cruise Deal - Flights from Johannesburg to Genoa on the 1st May and back on the 12th May 2014, spend 2 nights in a 4* hotel in Genoa & go for a 7 night cruise on the MSC Splendida. 2013-08-28 Mediterranean Cruise Special Flights + Hotel + Cruise from R14,399pps*. This wont last long, as we can't usually secure these flights/hotels/cruises all at such low fares for a lot of time. 2013-07-09 Mediterranean Cruise Flights from Johannesburg, travel insurance and a cruise from Rome on the 1st November 2013 to Genoa, Marseille, Barcelona, Valencia & La Goulette. From ZAR14,999* pps. MSC Mediterranean Cruises offer the biggest variety of options from August to March, from the west to the eastern Mediterranean. You can choose between 12 different luxury cruise liners to take you on your overseas adventure. MSC have made sure that they have catered for all ages with regards to their cuisine offered as well as the entertainment on board. 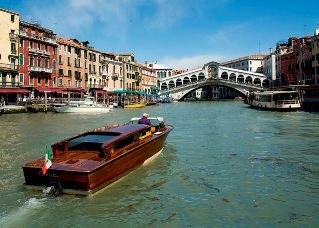 Their Italian hospitality will make sure you have the most relaxing and fun filled holiday oboard. The joy of booking a Mediterranean cruise is that you can finally see all the amazing places in Europe that you've dreamed about in one trip on a cruise around Europe. If you want a small ship feel on a large ship, try the MSC Yacht Club on the MSC Fantasia. Royal Caribbean Mediterranean cruises are known for being family-friendly, with loads of entertainment the kids will not get bored. With 7 class types and 22 ships offered, Royal Caribbean takes cruising to a new level with world class entertainment, gourmet cuisine and luxurious accommodation. There are over 100 ports to choose from so you can rest assured that the destination you have always dreamt of visiting, can now become a reality. Destinations include England, France, Italy, Spain and Germany. Costa Mediterranean Cruises in the Western Mediterranean include visits to the ports of Agadir, Malaga, Barcelona, Casablanca, Ajaccio, and Civitavecchia. In the Eastern Mediterranean destinations include visits to Alanya, Ancona, Ashdod, Piraeus (Athens), Bari & Corfu. Most of the Costa Cruises in the Med are from their base in Savona (Italy). Choose between a 7 night Mediterranean cruise with 6 ports of call (Italy & Croatia or Itally, France & Greece) or a 14-night Med cruise which visits 11 destinations (Italy/Greece/Corsica). There's an opportunity to cruise on P&O's newest cruise liner, the Britannia (the 8th ship in their fleet), which will in March 2015 start sailing. A subsidiary of Carnival Cruises, Princess Cruises in the Med range from 2 days to their 12 day Mediterranean Cruise-tour covering land and sea. Carnival	Cruises offers a 9-day whirlwind tour of the Mediterranean, cruising from Barcelona to Venice, Marseilles, Dubrovnik, Livorno, Rome, Naples and Messina. Like Princess Cruises, they also offer land-sea-cruises. Celebrity cruises in the Mediterranean include Holy Land cruises, Black Sea cruises, Greek Isle + Turkey cruises and Black Sea + Greek Isle cruises. The Norwegian Cruise Line offers anything from 2 day beginner cruises from Malaga and Marseille, to 7-day cruises of the Adriatic, Italy and Greek Isles. 13 March 2014 : Norwegian Cruise Line is outraged at Tunisia not allowing its Israeli passengers to disembark. As a result of the country refusing to allow its Israeli passengers to disembark, Norwegian Cruise Lines will no longer cruise to Tunisia. The incident occured at the port of La Goulette on the 9th March 2014. "In response to this discriminatory act, Norwegian Cruise Line announced today that it has cancelled all remaining calls to Tunisia and will not return...We want to send a strong message to Tunisia and ports around the world that we will not tolerate such random acts of discrimination against our guests...We are outraged by this act and the fact that we were not notified in advance of this practice." said a Norweigian Cruise Line's Chief Executive.“It was one of the most unpleasant experiences I’ve had.” said Yaacov Zacharia, one of the Israeli passengers. Holland America offer a 7 night Homeric Quest cruise from Athens, an 11-night West Europe cruise, an 11-night Mediterranean Explorer cruise from Barcelona to Rome, a 14 night Turkish & Homeric cruise, an epic 22 night Mediterranean & Adriatic Explorer cruise from Barcelona to Athens and an even more epic 43 night Western Europe & Holy Land Cruise. Cunard Mediterranean Cruises include a 12-night Adriatic & Black Sea cruise, a 12-night cruise from Southampton to Barcelona & back, and a 12-night cruise from Southampton to Rome. There are a number of cruise lines offering speciality cruises, often to the smaller ports and places like the little islands in the Greek Isles: Azmara Club Cruises, Compagnie du Ponant, Hapag-Lloyd Cruises, Paul Gaugin Cruises, Sea Cloud Cruises, Sea Dream Yacht Club, Seabourn, Silversea Cruises, Star Clippers, Swan Hellenic, Voyages of Discovery, Voyages to Antiquity and Windstar Cruises. If you desperately want to cruise to quieter off the beaten track spots like Calvi, Sorrento, Korcula, Nauplia, Kefalonia, Patmos; then these speciality liners may be the thing for you (warning: they come at a far higher price than standard Mediterranean Cruises). Take the time to treasure this romantic city by enjoying a gondola ride along the Grand Canal or a stroll along the majestic pebble stone pathways. With the vast amount of bridges and canals, getting lost is part of the journey. Make sure to take a stroll around St Mark's Square where you can enjoy an Italian lunch or a visit to the Cathedral and the Basilica. It comes as no surprise that there are numerous cruises departing from Genoa as this city boasts the largest seaport in Italy. Take a stroll around the beautiful Piazza de Ferrari with a stunning fountain as the focal point or enjoy an ice cold gelato along the promenade of Lido d'Albaro. Only 80km from the enchanting city Rome, visiting the port of Civitavecchia will have you on your toes throughout the day. Enjoy all the architecture Rome has to offer by indulging in a tour of the Colosseum, Saint Peter’s Basilica, the Vatican Museum, the Trevi Fountain, Cestia Pyramid and Caracalla Baths. 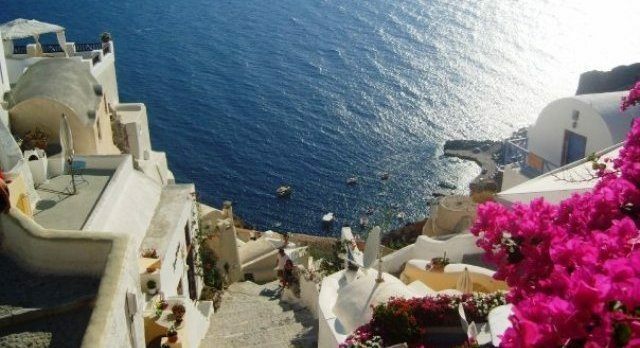 It's generally agreed that Santorini is best approached from the sea, so that one can view its historic white houses against the dark blue waters. 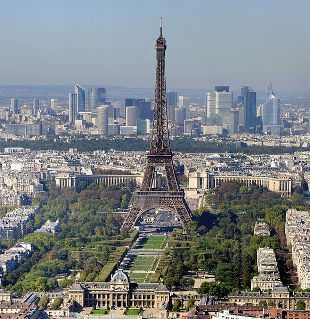 Marseille boasts the largest commercial port of France and has been elected as European Capital of Culture 2013. You will be wowed by the fascinating architecture and a vast amount of quaint restaurants. Be sure to try the Bouillabaisse, a local famous seafood dish containing at least 3 different kinds of fish. You can also enjoy a boat trip to the island of Château d’If for a tour around the prison. Take a coach to the Cathedral of Notre Dame de la Garde, the tranquil village Cassis or the town of Aix-en-Provence. Istanbul holds the best of both worlds, European mixed with Oriental. You will be blown away by the majestic mosques and palaces around the city. Most visitors first head to La Rambla, the pedestrian walkway lined by trees. Make sure to visit one of the largest covered markets in the world, the Grand Bazaar where you can find all kinds of treasures. Don't miss a visit to the world-famous Topkapi Palace. This was the home of the Ottoman Sultans for a large part of their dynasty. It has many famous artefacts, many of which are significant in particular to Islam. If you prefer to see the city by boat, book a Bosphorus cruise where you can admire sights including Dolmabahce Palace, Ortakoy Quarter and Leander’s Tower. Did we mention Gaudi architecture? Lisbon has been said to be the oldest city in Western Europe and therefore boasts rich history which is evident to any foreigner. Take a drive to the stunning Sintra where you will be able to snap beautiful photos of the mountains and country palaces. Make sure to visit the National Royal Palace where you will find the oldest glazed tiles in Portugal. Enjoy the famous Porto wine and cinnamon-infused Pasteis de Belem with a trip to Azeitao. End off the day with a visit to the Belém district and take a peak at Vasco da Gama's tomb. 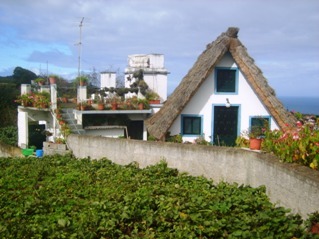 Cadiz was built on a narrow strip of land that juts out into the sea along the Spanish south western coastline. Visit the Plaza de Espana which is within walking distance of the port of Cadiz, and view the Monument to the Constitution of 1812 in the square. See the old city walls which are still standing today. Enjoy a Flamenco show, or take in this ancient city's sites over some tapas and sangria. Visit the capital city of Malta, dubbed "The Fortress City", and be amazed at the stunning views of the Mediterranean and marvel at the magnificent Baroque style buildings. Spend your day on foot as you will come across a breathtaking historical site around every corner. See the Barrakka Gardens, where you will enjoy the views of the Grand Harbour, experience the ornate St Johns Cathedral or have a spot of lunch along the quaint alleys of the town. So much to see that one needs to spend about 40 nights at sea to take it all in from Western Mediterranean Cruises to the eastern Med. Seventeen countries with diverse & fascinating cultures, languages & history. All cruises listed return to the same port they started at.